Alaska is significantly behind on approving Medicaid applications and in some cases applicants are waiting for months. 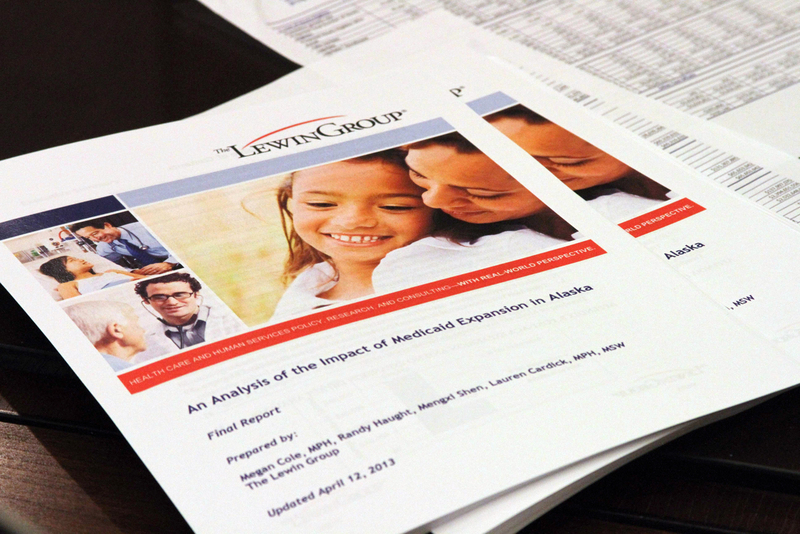 As of Jan. 29, Alaska had a backlog of 15,639 cases of new applicants or renewals on the books. About two-thirds of those, or 10,200 cases, were filed in 2018. The average wait time to be approved is currently 55 days, according to Clinton Bennett, the media relations manager for the Alaska Department of Health and Social Services. That’s the average, but not everyone is waiting that long, he wrote in an email. “Cases that are tagged as emergent, involve a pregnant woman or adding a newborn to any case are being processed on average within 2 days,” he wrote. Alaska has a fairly large Medicaid population with about 210,276 people enrolled in the Medicaid and CHIP programs as of October 2018, according to the Centers for Medicare and Medicaid Services. That’s about 24 percent of the state’s total population, and up from 123,335 people enrolled at the end of July 2015, just before the Medicaid expansion took effect in the state. Though it’s still a sizeable backlog, it’s significantly down from the total in May 2018, when the Alaska Ombudsman’s Office published a report highlighting the difficulties in the Division of Public Assistance. At the time, the ombudsman noted a backlog of more than 20,000 cases, itself down from 30,000 in July 2017. The eligibility staff couldn’t keep up, in part because of the increasing number of cases per worker — up 24 percent since the expansion in 2015 — and other types of applications for public assistance, such as food stamps, which began increasing during the height of the economic recession in July 2017. The state practices pre-enrollment eligibility verification, Bennett said, meaning that eligibility systems or workers must verify income before approving someone to enter the program. The state cooperates with the federally-facilitated marketplace, Healthcare.gov, to verify eligibility for low-income individuals. If Healthcare.gov is unable to determine eligibility, the state will take over from there. The Legislature also passed a bill reforming the state’s Medicaid program in 2016. One of those requirements was to implement a new technology system. Changing over systems amid the increased volume after the expansion may have led to the backlog boom, said Tricia Brooks, a senior fellow at Georgetown University’s Center for Children and Families. Alaska is one of a handful of states that have an extensive delay for processing applications, Brooks said. The federal standard is 45 days for non-disability Medicaid applications, and 90 days for disability Medicaid applications. That delay can mean that some go without coverage, and it makes things complicated for the administrators when some are renewals as opposed to new applications. The Republican Senate Majority, which backed the original 2016 Medicaid redesign legislation, is concerned about the eligibility backlog as well. Senate President Cathy Giessel, R-Anchorage, said the current process is weighing the state down and allowing some people who do not qualify to obtain coverage. Other states dealing with a similar problem have hired third-party qualified contractors to screen applicants. Giessel said that’s a step Alaska should take, too. The backlog can be frustrating for providers as well as for recipients, she said. The reform was a big request of the department, but it is making some progress and reporting savings, Giessel said. There are still changes that could make things better such as moving regulations through that allow expanded coverage of services via telehealth and possibly breaking up the Department of Health and Social Services into smaller departments, allowing for more efficient management, she said. Two bills prefiled for the 2019 session propose adding work requirements for certain eligible adults. Giessel said that’s one other item the Senate is considering in the wake of Medicaid expansion, to encourage able-bodied adults on Medicaid to work. To reduce the backlog in Alaska, Brooks pointed to a number of steps other states have taken, including the step Giessel mentioned to hire a third-party contractor to verify eligibility. Another way, which has been encouraged by CMS, is to use eligibility data from the SNAP program to determine eligibility for Medicaid. Most people who qualify for SNAP also qualify for Medicaid, Brooks said. Another logjam in the system can be as simple as people calling the Division of Public Health to check the status of their application. That takes staff time to answer the phones. One way to address that problem is to launch online account that allow people to check the status of their applications online, Brooks said. The majority of states have now done that, she said.